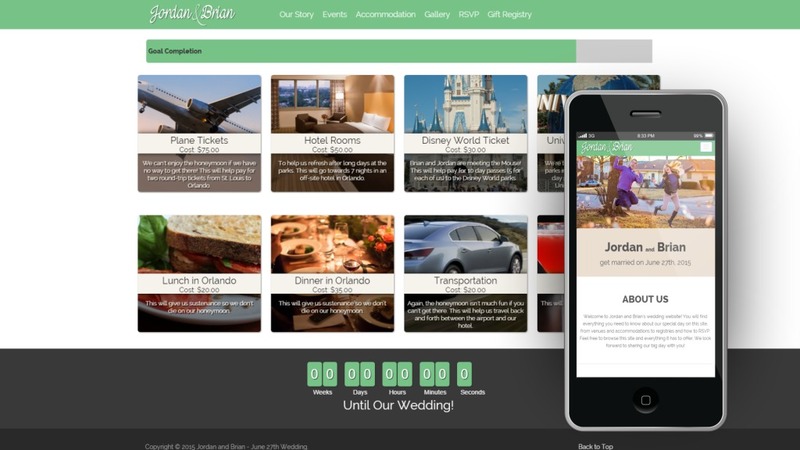 A wedding website with a responsive design and a clean simple user interface. 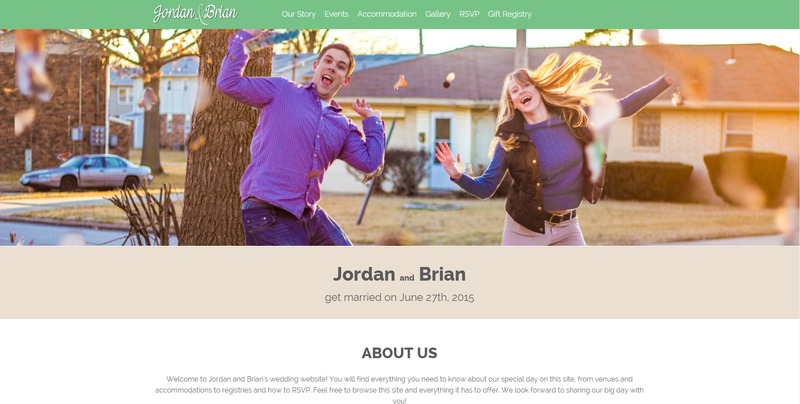 Site visitors can donate money via paypal and view information about the wedding. The footer of the site includes a count down to the wedding.